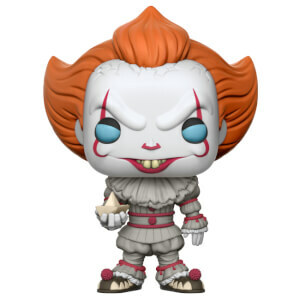 This IT Pennywise Pop! Vinyl Figure comes packaged in a window display box, and measures approximately 3 3/4-inches tall. I absolutely love this pop, there is just one thing. The teeth may look white in the image but in actual life they are a bit yellow. Pennywise needs to learn how to brush his teeth if he's gonna keep eating kids XD.